Home Trainers	New Balance UK-made M1500GYB & M1500EBN: Lake District tech running. 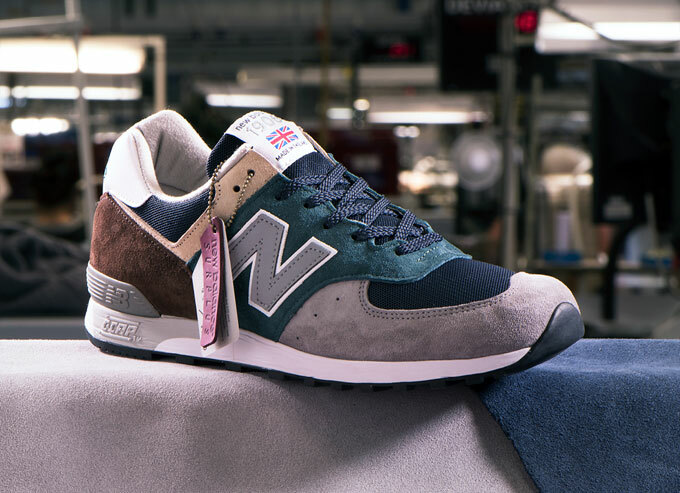 You wouldn’t expect Flimby to be a tech running hotspot, but that UK New Balance factory is the home of the M1500 nowadays. People might be rushing for the M998 and M1300 right now, but we maintain that the shoe introduced in late 1988 is a pivotal moment in athletic design. Taking over from the New Balance 1300 after four years of bruised wallets and bragging rights (the M1400 was released five years after the M1500, just to complicate things), this model was a bold move in its day — that embroidered ‘N’ and dramatic shift in shape, with an insane price tag to match made the Made in the USA editions another status symbol. A compression deterring triple density Evathane pad and ENCAP midsole, plus an outsole that was engineered to last, broke new ground subtly while the rest of the industry was dazzled by windows, pumps, springs, hexagons and other such silliness.